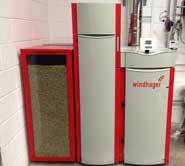 We work closely with 2 of the leading manufacturers of Biomass Boilers, Windhager & HDG (Euroheat), and the leading air to water heat pump specialist Mitsubishi Ecodan. In addition to the Ecodan and in particular on New builds, to help meet code for sustainable homes level 3 or above, we use Nuaire’s whole house heat recovery units. We only install quality products that are reliable, cost effective and built to last. This ensures we have the technical back up and assistance at all times from the world’s leading manufacturers. Please click the links for direct access to their web sites for more in depth information. We offer various types of heat generation to suit individual applications and each one tailor-made to suit your own requirements. The links to the left show examples of the different types available and a description of how they utilise green energy.